Living with a mortgage ain’t half bad. My contents insurance, which WAS around $1200 a year when I was renting, plunged to about $400 when I bought my house. Car insurance decreased by a few bucks too. Unexpected fringe benefits of home ownership! My jaw literally dropped when I heard the new figure and I had to ask the rep to repeat it back to me. My house insurance is about $1250 a year. And since I got a $1200 cash gift from my new bank when I confirmed my mortgage, it’s basically free for the first year. Council rates (the equivalent of property taxes in some of your countries) are pretty darn affordable. Mine are just under $1500 a year. This is typical for houses in this range; when house hunting I saw probably up to a $500 variation in annual rates between all the properties, based on their value. And YES, before all you (non NZ) lovers of renting jump in, I’m prepared for the costs of maintenance – I will be referring back to my pre-purchase house inspection report plenty over the coming years, which was brimming with recommendations around everything from insulation to safety glass. Replacing the deck and repainting the roof will probably be the priorities – but a new kitchen just might come first. There’s no rangehood, no splashback (both noted in the report as matters to remedy) and everything just generally needs an overhaul. Might even knock through a wall and make the whole living and kitchen area open-plan with an island. So I’m paying the bank $1044.37 every fortnight, plus I’m also repaying my family at $200 on top of that: $1244.37 all up. Or, $2488.74 a month. Thus far I’ve also knocked another $3,000 straight off the principal with extra lump sum payments but now I need to turn my attention to a few other financial priorities. So, if any of that sounds weird, here’s a simple intro to mortgage options in NZ. Or if you’re not much of a video person, let me try to run you through how things work here. Fixed vs floating: There are fixed mortgage rates and floating (variable) mortgage rates. Fixed rates are typically lower. The minimum term you can fix for here is generally 6 months and the maximum 5 years. Lots of people (like me) split up their mortgage into a few separate loans, some floating, some fixed. 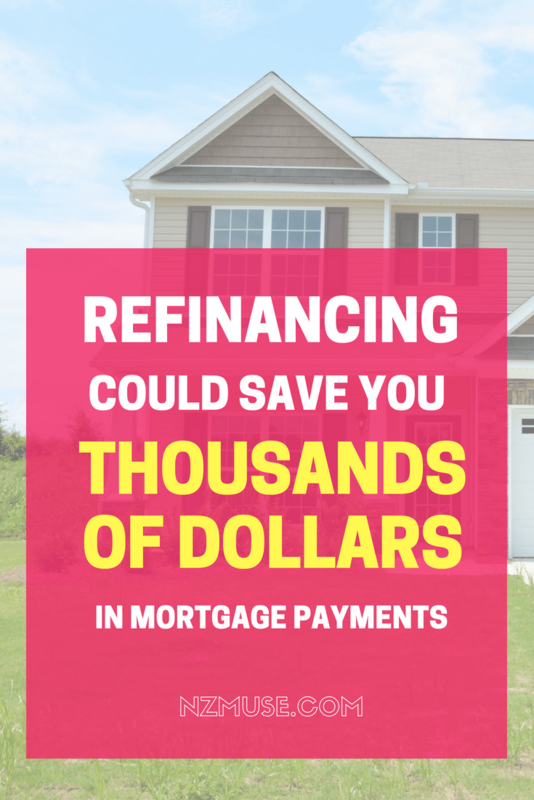 Floating allows you to focus on repaying the loan without penalties, while fixed gives you some certainty around rates (but with less repayment flexibility). And thus, a combo can offer the best of both. Revolving credit loans are basically a giant overdraft, with one account acting as your loan, chequeing and saving account all in one. Your pay goes straight into the account and the idea is to leave the money sitting there as long as possible (eg putting your expenses on a credit card and paying them off at the end of the month). By keeping the account balance (and thus, loan balance) as low as possible at any time, you save on interest because the bank calculates interest daily. Obviously this requires discipline and organisation, though you may be able to set it up so that your credit limit reduces over time, making it easier to stay on top of things and ensure you’re making progress. When it comes to refinance/rollover time I imagine I’ll choose revolving credit for part of my mortgage. Similar but different, an offset mortgage is linked to your other accounts with the bank. Your mortgage interest is offset by the amount you have in your other accounts. For example, if your mortgage balance was $500,000 and you had $20,000 between your savings and chequing accounts, you would only be paying interest on $480,000. But compared to revolving credit, offsetting is not offered by as many banks. And in case you missed it: my step by step guide to actually buying a dang house, from getting preapproved to settlement day.